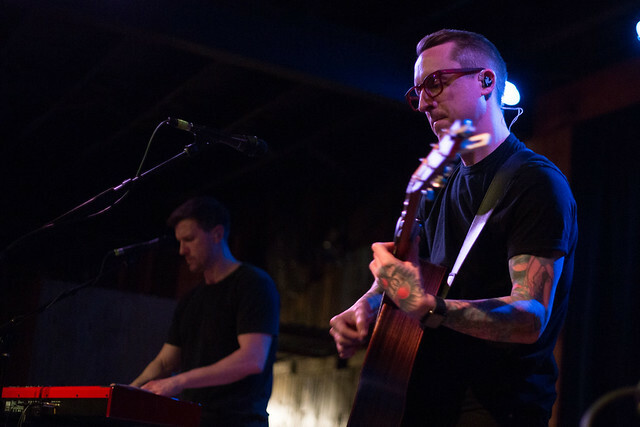 Exclusive Interview: Life After Yellowcard – William Ryan Key chats the latest and greatest Reviewed by Yvan Nguyen on April 5, 2019 . 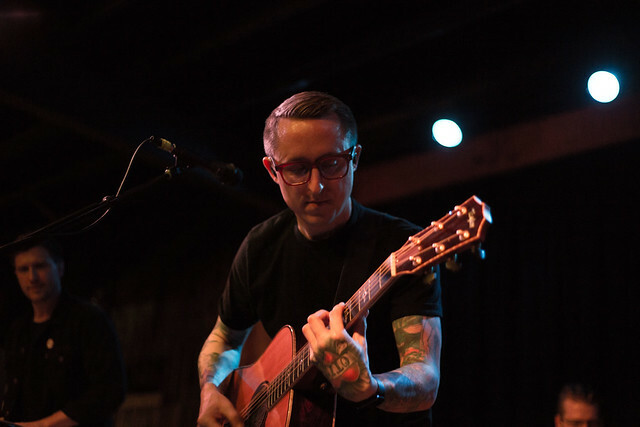 William Ryan Key (formally of Yellowcard) is currently on his first North American headlining tour as a solo musician. Having first releasing his debut EP Thirteen and now his sophomore EP Virtue, he embraces the uncertainty and nervous energy of uncharted territory and new sounds. The Virtue tour spans over 28 dates starting in Atlanta and ending in Nashville with Selfish Things and Cory Wells providing support. We were grateful for the opportunity to chat with William about touring, exploring new sounds, and post-tour plans before catching his show in Austin, Texas last week. Thanks so much for taking the time to chat with us. How’s the tour going? It’s been amazing honestly. Long, but amazing. We’re getting into the last week of shows now. In a way, the tour serves as a barometer to see how well this goes and to see if we’ll keep going and the answer is 100%. Some major cities like Brooklyn, Philly, Santa Ana, Toronto, Boston, Chicago did so well and really blew us away. I don’t really have a record company or anything promoting this, it all has been word and mouth and social media. With all those factors, it’s really been mind-blowing and exceeding my expectations for sure. It’s reassuring that I’m onto something and should keep going. How would you compare touring now versus with Yellowcard? I don’t even know where to start. It’s a completely different animal. At one point, Yellowcard had two tour buses and a semi truck to support the tour. That lifestyle was quite a bit different to driving the van yourself and loading in and out. It’s been a lot of work, it’s exhausting and high stress but also really rewarding. Everything you’re doing is super hands on. Every minute of work you’re putting in, you can see the results immediately. You can see people really enjoying the experience and really take it in. It’s so different from what they’re used to seeing me do with Yellowcard. I’m touring similar to the same way I was when I was twenty years old in a van. Is it a hard adjustment? Yeah sure but you can either accept that and do the work to keep it going. It’s hard but my other option is to quit and I’m not the type of person that knows how to quit. I wake up and do what I have to do to get on stage. If I keep that mentality, I want to believe I’ll have success. The music I’m making now is deliberately different from Yellowcard. It’s music I’ve been wanting to write for a long, long time. It wasn’t until a year after Yellowcard broke up that I decided to pursue this and recording some songs. It started out with just me and my one guitar and that was the vibe. On the second EP I put out last fall, I expanded the sound a bit more with drums and an electric guitar. My hopes are for a blend of a post-rock and instrumental guitar with singer-songwriter and lyrics driven indie-rock and indie-folk stuff. The nice thing about this project for me is the ability to explore. In the studio, I worked with and co-produced with Arun Bali (lead guitarist of Saves The Day) with the mantra “No parents, no rules.” There’s no expectations from anyone so we can do whatever we want. It’s been really fun and liberating. No one know what to expect and it’s super liberating in the studio. If I find something that sounds awesome, I’m not worried what people will think or if they’ll approve. We’re finding and crafting our own sound and it’s been really fun. Can you tell us a little behind your debut EP Thirteen? They were the first few song I released to the world in the life after Yellowcard. There was a lot of things going on in my head such as the sonic direction of the songs and really wanting to try something new. They were based on a lot of musical influences that have been a huge part of my life and musical palette for years now. These bands and artists have been a way bigger influence on me as a person for the last decade than say like pop-punk or mainstream bands have been. I had and have the freedom to explore the sounds that really inspired me and influence me for a long time now. Lyrically, I wanted to open myself up to what this is now that Yellowcard is gone. The song “Great Unknown” is very much about stepping off the ledge after having something that was so sure and certain for so many years. I wanted to make a statement of what type of lyricist and song-writer I want to be and not hide anything. I tried to dig as deep as I could for the words I want to use. What has been the most shocking for you on this new journey? I know it’s a bit cliche but honestly what I was talking about earlier about the shows doing well. I was so moved by people being there and being so invested in this thing. The idea of doing this completely DIY and to have that level of supporters is insane. I am playing a few Yellowcard songs during the show which they like but they are genuinely here to see me play new music. They are interested in what I’m doing despite it being different than Yellowcard which makes the connection even stronger. Now that your tour is coming to an end soon, what are your plans after? No rest for me! I get on an airplane the next morning after my last show at 6am to fly to Japan for a month. I’m so excited to be producing a record for a Columbia Records artist for the entire month of April. It’s my favorite place in the world and I’m excited to be back. 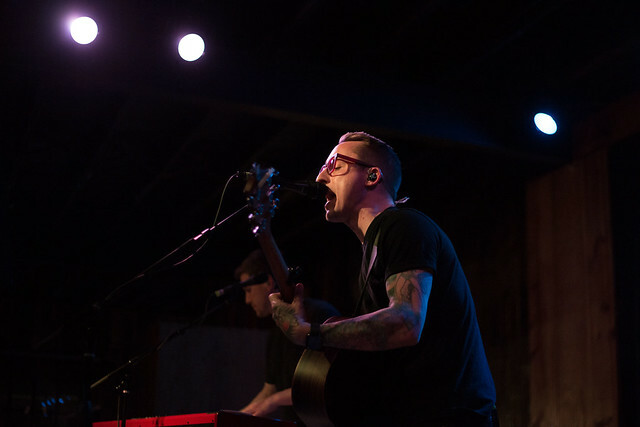 I caught William Ryan Key as he passed through Austin, Texas at Barracuda. The atmosphere was personal and intimate while fans enjoyed a beer while swaying and singing along. 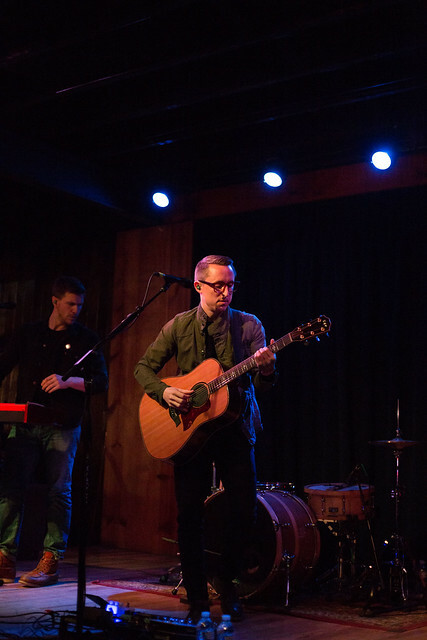 “Mortar and Stone” live was beautiful as it filled the room with its intricate guitar parts. Dialogue was shared in-between most songs about his journey and the songs to which fans appreciated. “Downtown (Up North)” was a sure favorite for me with its harmonies and catchy chorus. 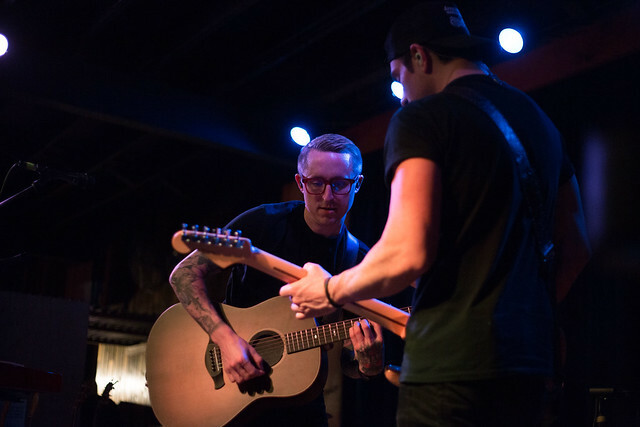 The audience enjoyed the show’s intimate setting and became excited to hear few other Yellowcard songs in the mix along with “Ocean Avenue.” Nostalgic for sure! I look forward to listening to the new sounds William creates along with what his new solo journey entails.